What originally led to you working in the studio? Well, very interesting enough, when we were ten years old, my twin brother [Ralph], a friend down the street, and I started a little band, and it kept on progressing from there. That band actually ended up becoming Rare Earth. I got a degree in electronic engineering, and I was like, “What am I gonna do with my degree?” So I went to Motown — I had the musical background and the degree — so they hired me on the spot. I had just turned 23. What was the state of Detroit studios when you first began working at Motown? My brother actually had a studio called Tera Shirma, and they had a lot of hits come out of there. 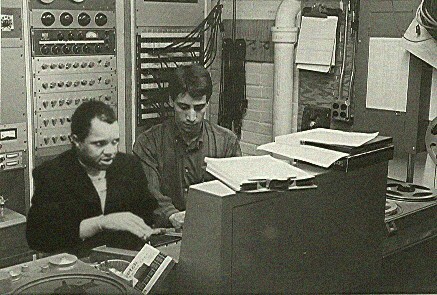 At that time everything was considered state of the art: United Sound [Systems], Golden World, and Tera Shirma. As I got into that business there was the evolution from 8-track, to 16-track, to 24-track, to locking up machines for 48-track, to digital. It was a matter of keeping up with the technology changes. New audio gear and digital processors kept coming along. In Detroit you had to use your brain more to get what you wanted, instead of relying on the equipment to get it for you. You had to sometimes come up with clever ways to get the sound you were looking for. Motown is pretty famous for developing the DI box and sel-sync technology. How influential do you feel that Motown was in pushing forward the development of recording technology? It wasn’t just Motown — it was the whole recording industry of the world. It was the New York studios, the Chicago studios, Muscle Shoals — all those places. You’d get some of these people who’d develop this equipment, like [Motown’s Engineering Department Head] Mike McLean for example. He was a super genius of audio — he would buy a piece of gear, take it apart, and re-do it into what he wanted it to be. They even had this thing called the Motown EQ, which was this 8-band EQ with the faders. The guy had a mind on him that was unbelievable; he was so good at his job. Did you see Mike as a mentor? Well, he was on the technical side and I was on the creative side. I’ve always regarded him as a very good friend, and always looked up to him with incredible respect because of his born talents — he was a natural. He had a limited education, but he could out-do every technical engineer he came across. He was one of those guys that just had that ability that only comes along once in a lifetime. Would you say that Mike’s designs were as integral to the Motown sound as the musical side? Oh yes, definitely. There are certain things that we would have never achieved without the technical expertise that he presented, so it worked hand in hand. Without him, we wouldn’t have gotten what we got. Do you feel that Berry Gordy gave you a long leash, in terms of your creative freedom? Absolutely. Berry Gordy was a very smart man. When I first started working at Motown I got to know him. He saw that I had certain talents that would benefit him, so he encouraged me to really open up and follow my strengths. For me, that was mixing. I loved to mix. His whole philosophy was to surround himself with strong people. He could recognize good talent, from singers to producers, writers, engineers, salespeople, and promotion people. Once you got his blessing, you could do whatever you wanted; he encouraged that freedom, especially on the creative side. He used to say, “Don’t be passive. Go for the throat.” We did. When I became chief engineer, after I moved to L.A., I sat with him and he said, “Look, it’s your department, and only you know how you’ll run it. Just do what you think is best. It’s your baby.” Because of the model we had, I had a great group of some of the best people in the industry, but it was because of him. [He] trusted my abilities, the producer’s abilities, and the songwriters. After the move from Detroit to L.A., would you say that the Motown culture stayed as creative and free? Oh yeah, definitely. There was no difference. It was like you went into another room: the philosophy was still there. Berry had already moved out there anyway. I didn’t have anyone look over my shoulder and say, “How come you’re using that microphone?” I let my engineers do their job, because I trusted their abilities. We would have meetings and kick around ideas, but when you went in the studio that was your session. You do what you think is best. So around the time of the move to L.A. would have been when you started working with The Jackson 5, right? So the first time you heard Michael’s voice, would you say that you instantly knew he was the real deal? His pitch was great and he had good emotion. He was like an adult in a kid body. He really impressed me. He wasn’t just singing words — he came from the heart. Once I moved up to L.A., I was with him a lot. 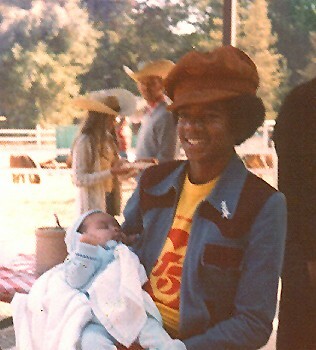 Michael was a good kid; I really liked Michael. He would sit next to me in the control room and would ask, “What does this do? What does that do? Why does that happen?” He was very into the behind the scenes thing too. He was always fascinated by the equipment, how things were accomplished, and how you do it. He was very soft-spoken and very polite, until he got behind a microphone, and all of a sudden, bang — “Who is that guy?” I liked him a lot. He was a very nice person. He was genuine. It was not easy to be Michael Jackson. He couldn’t go anywhere without putting on a disguise, because he’d be mobbed. I heard one time he had never been into a grocery store, because he couldn’t even walk into a grocery store. Jermaine [Jackson] was telling me they went to a grocery store when they’d closed, and they flipped the manager a couple of bucks so that Michael could walk around. He couldn’t believe all the aisles and shelves of food — that blew his mind. Did Michael always have that sense of perfectionism that he became known for during his later years? He was always very conscious about his vocals. He wanted to know everything about the recording process because it gave him insight into what is done. Eventually, as he got older, he got more involved in the whole thing. He knew more about mixing and recording, so he knew what to look for. On a more gear-related note, did you have a particular vocal chain that you liked for Michael? As I recall, it was a [Neumann] U 87. I gave it some light compression — I think it was an [Urei] LA-3A. I didn’t squeeze it — just enough to keep the peaks from slamming, and to give it a little bit more stability. Without a compressor it would go from quiet, to a sudden hard note; and then wham, there goes the meter. That works pretty much for any vocalist too; you don’t want to squeeze it too hard. For example, it’s like how you never add reverb when you record a vocal, because then you’re stuck with what you got. You want it to be as pure as possible in the mix because then you can do whatever you want with it. How would you incorporate the famous Motown attic reverb chamber into your mixes? So you weren’t afraid to start over on a mix? Oh, remixes were a common thing. Sometimes I’d spend all day on a song, go back, and have 10, 15, 20, 100 mixes before I got what I wanted. There’re so many things — especially with the multitrack, when you have 24, or 48 tracks — that one little thing could change everything. I kept going ’til I got to a place where I liked what I got. I have an interesting story for that one. This was back in Detroit. Rare Earth had finished this song. Harry Baldwin, who was the head of the A&R Department, said, “I want you to do a rough mix of a song so I can see what’s there.” So I go into the studio mixing room; I’m having a lot of fun with the song, playing around. I get with Harry, and he says, “Let’s remix, and remix, and remix.” So finally I went to Harry and said, “Look, we’ve got to stop and figure out where we are, because we’re going nowhere.” He said, “Why don’t we go back and listen to the very first mix you did and start over again?” So we put on the very first mix. We both looked at each other and said, “That’s the mix.” It was, “I Just Want to Celebrate” by Rare Earth. I wasn’t really going for anything; I was having fun with the song, and with that spontaneity, boom, it happened to be what we were looking for. I’ve heard a similar story with [Michael Jackson’s] “Billie Jean” where they did 90 something mixes. Yeah, absolutely. You’re searching in the mind, thinking, “Is this right? Is that right?” There was one time in L.A.; I was burnt out and needed a vacation during a long year. I had just finished a Jackson 5 album, so I went on vacation. We went camping in Utah. Driving back to L.A., we picked up this pop radio station. I forget what single it was, but it was a Jackson 5 single. I’m hearing this thing on the radio, and I think, “Oh, that sounds terrible! I did that?” So, my first day in, I called Berry and I said, “I know the record is out there and everything, but it’s terrible. I got back from vacation, and I want to do a remix.” He says, “Well, I’m happy with it; it’s selling. But go ahead and do what you want. When you get what you like, send me an acetate of the mix, and also send me another acetate of the released version so we can do a comparison.” We used to have these dual turntables with an A/B switch, so you could start both at the same time, go back and forth, and compare the difference. I got the mix I liked and sent them both to him. The next day he called me and said, “Yeah, we’re going to re-service it.” That was it. He trusted my instincts. I thought it wasn’t quite what it should be. Some people would say, “That’s fine; you wasted money.” But that’s how he [Berry Gordy] operated. You mixed Stevie Wonder’s “Signed, Sealed, Delivered, I’m Yours,” correct? When you were working on it, did you know what kind of legacy it would have? You almost don’t have time to appreciate it. So despite cranking out tons of music with hectic schedules, Motown was a fun environment? Oh, yeah. It was very loose in there, as far as creativity goes. The arranger goes in with the charts, but those were just guidelines. There’s a funny story — one of the Funk Brothers, Eddie “Bongo” [Brown], was a crackup. The arranger would put a chart on his music, and Eddie would say, “Uh huh, fine.” But he couldn’t read a lick of music. He used his instincts, and that’s what worked. It was not, “You’ve got to stick to the charts.” Guitarist Robert White might say, “Maybe, if I played this a little bit differently, I could give more strength to the rhythm.” We were always open to creative suggestions. You experiment to get the best track you can. Were you involved on that track? Ron Miller [and Orlando Murden] wrote that song. I can’t remember if I recorded it. [laughs] I remember I mixed the song though. Jamerson was a genius bass player — he’s got that legacy. All the Funk Brothers had something special. When you put them all together, it was unbelievable. It was fun working with those guys, because you knew they were gonna come up with something. All this laughter and everything — it was never stiff, or “We gotta get down to business, fellas.” [laughs] They were having a good time doing it, and it was thanks to Berry Gordy. These guys are good — they know more than we do about being a guitar or bass player. If they hear something, let them try it. But, once in a while if it doesn’t work, go back to the chart. On the Internet, there’s tons of conflicting information about the drums that were used in Motown’s studio. Boy, I’ll tell ya, it’s been such a long time that I forget what kind they are now. There’s Benny Benjamin and Richard “Pistol” [Allen] — you know, a lot of the drum sound was the drummer. I remember one time when I was at Tera Shirma doing a session, they were doing a rhythm day — they had two drummers, but one set of drums. Drummer A played on the first song, and drummer B played on the second song. I got the sound for the first drummer, we cut the track, and we’re getting ready to do the next song — they’re both very talented drummers, both excellent musicians — but the second drummer had a whole different sound because of the way he attacked the kit. I had to get a whole different sound because of the way he played. It’s like with singers: no two singers are alike. They have different approaches. There’s always going be some nuance that’s different. As far as the drums themselves go, some people say Rogers, and others say Slingerland. Can you confirm any of the rumors there? As I recall, and I’m not quite sure, it was a conglomerate. The snare was a Rogers, and the tom-tom was something else. As I remember, it wasn’t a particular brand. It could have been pieces put together to make the set. It was left up to the drummer. They knew what they wanted. He’s the drummer, so let him play what he’s going to be comfortable with. In that vein, did you have any go-to gear in the control room? Well, you know, once again, it depended on what you’re trying to get. I might use the Fairchild [limiter] for certain things. I might not like the Fairchild on something else, so I’d use the LA-3A. It depended on the song, because I’d look for certain feelings, or depending on the musician. I never really did the same thing every time, because every song had its own personality, and that’s what I was trying to capture. So you never really tried to force it? Every song, to me, was like a person. It had its own personality, and there were no two songs alike. I never approached the song with the same thing I did to another song. I would look at the song as an individual. “Now what am I going to do with this guy? What are the guitars doing in the verse, compared to what they’re doing in the chorus? Do I want to use more piano in the chorus, because the keyboard player is doing something stronger in the chorus?” And I’d feature the keyboard player more during the chorus. I never said I should do another song the same way. It was a totally different person. Do you think it’s possible to recreate a similar musical environment to that of Motown in today’s music? Or was it lightning in a bottle? Well, I think both. I think it was lightning in a bottle, but it was also the people involved — the musicians, the engineers, whatever — like the story of the two drummers. You had the Funk Brothers, and they had a certain thing between them. You could recreate a building with the same dimensions and everything else, but it depends on the people. Who could do what Michael Jackson did? Very few people. You could ask someone to sing “Beat It;” they might have their own good version of it, but it’s not going to be Michael Jackson. What inspired your move from Detroit to L.A.? Well, I was tired of the wintertime in Michigan [laughs], and Motown was heading that way anyway. The company was eventually going to move out there; I moved out about six months before the big move happened. I told them I wanted to move out to L.A., and it was the easiest move I had in my life because they took care of everything. The movers came, and they paid for that. Everything was done; it was so easy. I’m glad I did it because I really liked it out there, as far as the industry goes. I needed to do that. It happened at the right time for me. At the time, did you realize the importance of the work you were doing and the legacy you were leaving behind? That’s how most people feel. Absolutely. “At the end of the day, I’m gone.” But they didn’t want to leave. There was too much activity and fun going on there. Are there any particular songs that you worked on that stand out to you as your signature sound? Were other people at Motown as humble? Everyone had their thing to do. You had some of these arrangers that could arrange charts like you wouldn’t believe, as well as great musicians and singers. You never really saw an ego thing, because everyone knew what their abilities were. You used your abilities to get done what had to get done. They were your friends, and you accomplished things together. It was a good feeling. I’ve heard stories of Berry Gordy trying to keep his musicians exclusive for just his projects. Was there that same sense of loyalty that he required out his engineers? Well, when I worked for Motown, and this was after I moved to L.A. too, it was a closed studio: it was only for Motown Studios, but then we opened it up and anybody could rent it. The studios in L.A were phenomenal. It was an actual building built with treated studios inside, plus a mastering room and everything else. I worked with people like Whitney Houston and Natalie Cole, besides the Motown people. Then I got into doing a lot of TV specials with some of the big guys in Hollywood, and that was a lot of fun, but I still was employed by Motown, and that was my main thing. We promoted the studios to bring in other business, so it worked both ways. I had a chance to work with a lot of outside people. In terms of creative capabilities, how do you feel about Pro Tools? In terms of moving away from music, was that a personal decision? Did you just grow tired of music? Well the music industry is totally different today. It’s not like it used to be. I firmly believe I was in it at the right time. It was an unbelievable time in music history. It was a growth period, it was innovation, it was a lot of things. Now it just seems to be, “This guy can do this, and do it, so bah. No big deal.” For example, I’ll turn on X-Factor, or something like that, and there’s a lot of good talented people that come out of that, but sometimes you’ll get someone on that just screaming their head off. They aren’t even singing, when you can see the blood vessels sticking out of their throats. They’re not singing, they’re screaming. But there are some very talented people on those shows too. It’s a hard, very competitive business, and just because someone won, it doesn’t mean they can make it. Those shows are geared at getting ratings, so they have these big fireworks going off, and dancers on the stage. That’s not reality. [laughs] It kind of colors up what the person is doing. “Wow, he’s really good because of all of the dancers and lights and everything.” That’s TV though: you get the ratings. Did you receive much recognition for your work at the time? If you were to think of a Mt. Rushmore of recording engineers, there are a couple of names that stand out, like Al Schmitt or Bruce Swedien. Do you feel that your accomplishments would put you in a category like that? Oh, I don’t know. I never really thought about it. To me, I was just doing my job. If people liked what I did, that was fine, because I enjoyed doing it. It was never an ego thing, like “Why did I do this instead of that?” I just wanted to do my job and to do the best I can. So it was never about the glory. No. I remember one time with this good friend of mine who lived outside Malibu, we went in town one evening to get some dinner, and we went to this one place wearing just t-shirts and jeans, very casually dressed. There was this big, black bouncer because it was a restaurant and a club at the same time, so we thought we’d eat there. He says, “Sorry, but you need at least a collar on your shirt.” We say, “Fine, no big deal. We’ll go someplace else,” and start walking away. I turn around and my buddy Joe is talking to this guy, and he motions me to come back, and we were given the best seat in the house. and I say, “Joe, what did you say to this guy?” And he says, “I just told him who you were — Chief Engineer for Motown,” and the bouncer loved Motown, so he let us in. I say, “What’d you do that for?” And he says, “Well, don’t you want to eat?” [laughs] I thought it was pretty funny.